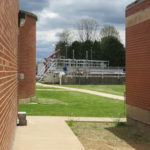 To give our customers the best drinking water possible every day and then treat the water disposed of to the highest standards possible so its return to the Rock River does not impact the waterway in a negative way. 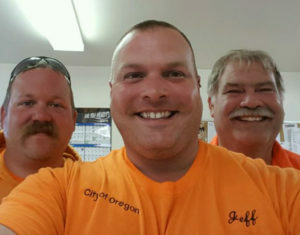 Oregon’s Water and Wastewater staff are very proud of the work they do. 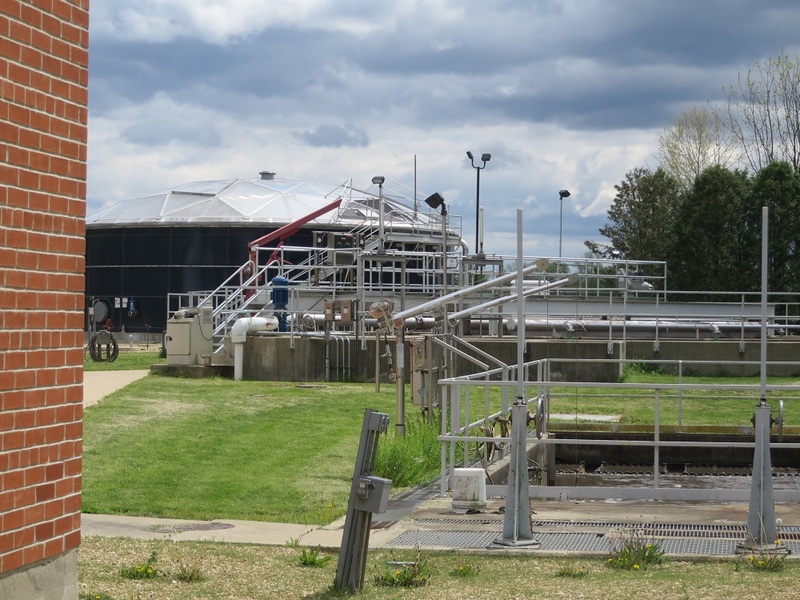 Water and wastewater are two of the things used every day by our customers. 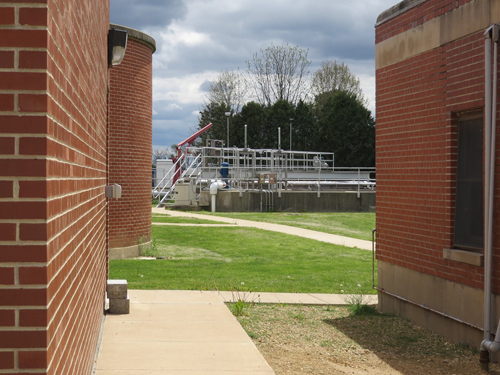 The work we do is daily (365 days/year) and includes monitoring & testing of our drinking water as well as everyday maintenance at the wastewater treatment plant. This is in addition to responsibilities for existing infrastructure and capital improvement projects. 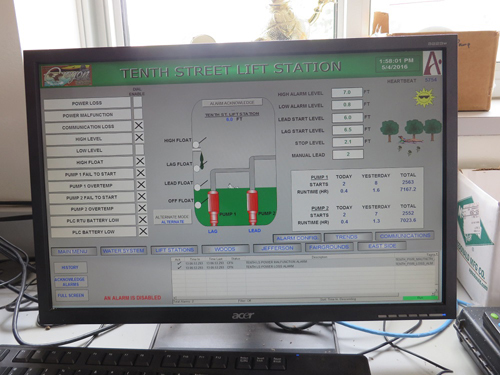 Oregon’s Well Houses, Wastewater Treatment Plant, and five lift stations around town are continually monitored by a SCADA system. 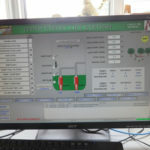 This is a wireless hi-tech automated monitoring system which immediately identifies problems in the system and notifies staff as to what and where the issue is. Oregon’s staff consists of 3 employees, Dave Kent, Jeff Pennington, and Scott Wallace. Oregon has 4 Well Houses & three reservoirs. There are approximately 20 miles of water mains ranging in size from 4 inch to 12 inch, 364 valves in the water system, and 228 fire hydrants. 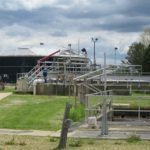 In addition, there are approximately 24 ½ miles of sewer main, 479 manholes and 5 lift stations, soon to be 6 (Settlers Ridge). The Department is adding and replacing sewer mains on 10th St between Webster and Clay, prior to beginning reconstruction of the street. Plans are in the works on rebuilding Oregon’s 3 Well houses and the sandblasting and repainting of Oregon’s reservoirs, both of which are very important pieces of infrastructure to Oregon’s water customers. 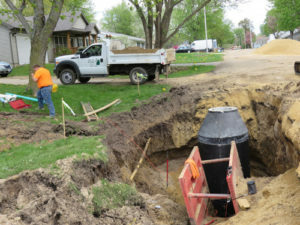 We are also looking at ways to finance the lining of about 22,000 feet of sewer main which is need of having done. Broken pipe and or roots in the lines are main reasons for this need. Dave Kent is the Operations Manager for Oregon’s Water and Wastewater Operations. He has been in the water and wastewater field for 38 years, the last 7 ½ here in Oregon. He holds a Class “C” Water and Class ”1” Wastewater Operators license. He has also held the office of President for the Wastewater Operators Group “MISS-ROCK” for over 20 years. He and his wife have 3 children and 7 grandchildren.